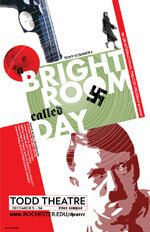 The International Theatre Program’s production A Bright Room Called Day runs from December 5-14. 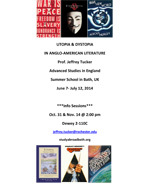 A new summer program in Bath addresses the philosophical and political issues pertinent to a selection of literary works about ideal and hellish societies. An information session will be held 2 to 3 p.m. November 14 in Dewey Hall 2-110C. Help establish an endowed University position in the names of Russell and Ruth Peck—a fund that would bear their names in perpetuity. A new website celebrates Professor Peck's half century of dedication to the University. The William Blake Archive has published an electronic edition of Europe a Prophecy copy A.